Unfortunately, it’s a sad fact of life for many people that if you live near or within a place of interest you can become a little complacent about its appeal. We’re lucky enough to live within Exmoor National Park and do take time to enjoy it. However, we also live within a stone’s throw of the longest standard gauge steam railway in Britain yet hadn’t ridden on it for several years. So, when the opportunity arose to experience the journey once again, we jumped at the chance. 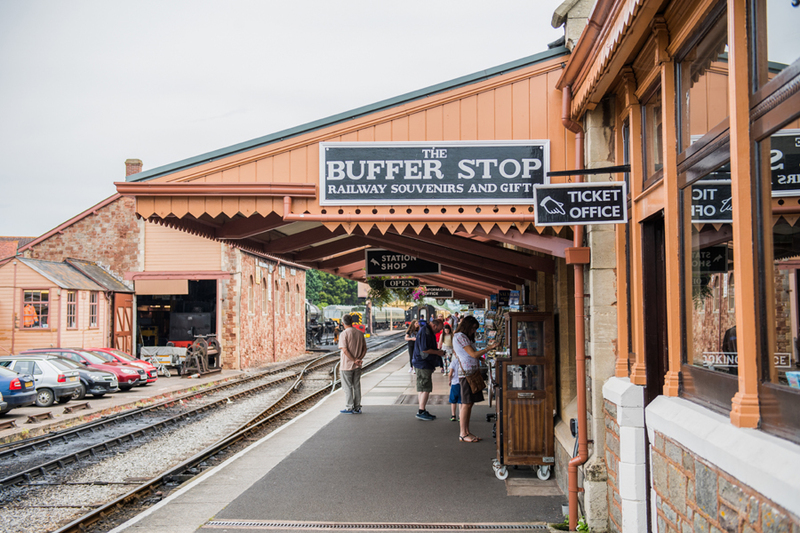 Meandering through the beautiful Quantock Hills and fringing the Bristol Channel coast, the West Somerset Railway is the UK’s longest Heritage line. 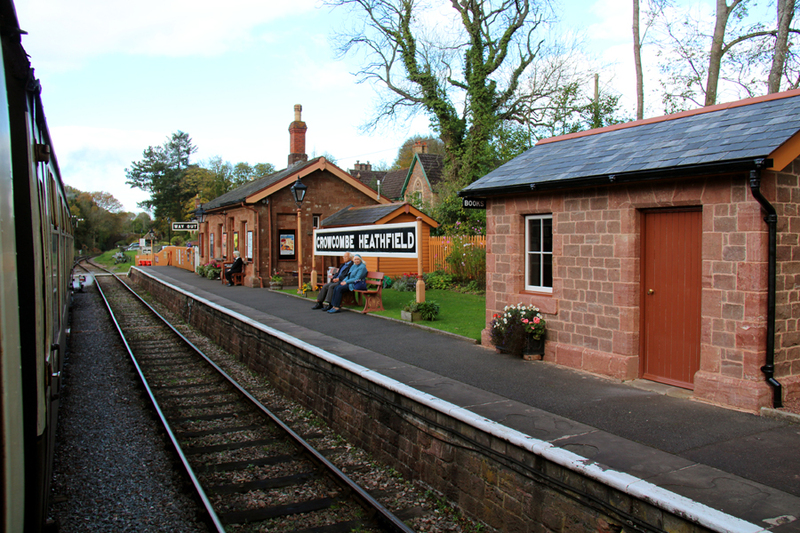 Along the 20 miles between Minehead and Bishops Lydeard are ten stations, all possessing their individual charm, including Crowcombe Heathfield. Not only were scenes for the BBC series Land Girls shot here, the Beatles used the location in their 1964 film, A Hard Day’s Night. There are many villages to explore along the way, such as historic Watchet. Dating back to Saxon times, it was once an important regional port while nearby Washford Station is just a short walk from historic Cleeve Abbey and Torre Cider Farm. Or why not explore the medieval village of Dunster, with its Yarn Market and majestic castle overlooking the narrow streets? 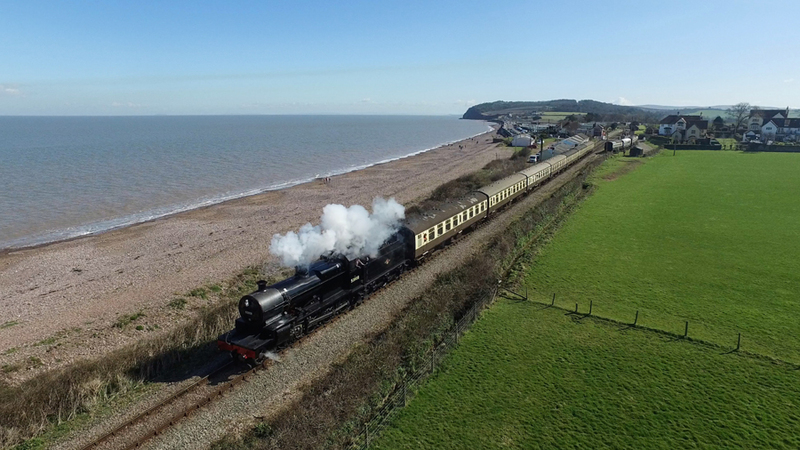 At the start or end of your journey, depending on which way you travel, Minehead sits at the foot of North Hill and boasts a fine stretch of sand, plenty of shops and cafés to enjoy. Formerly part of the old Great Western Railway, the line was a victim of the infamous Beeching Report and closed in 1971. Five years later, it reopened as a private concern and has remained operational ever since. 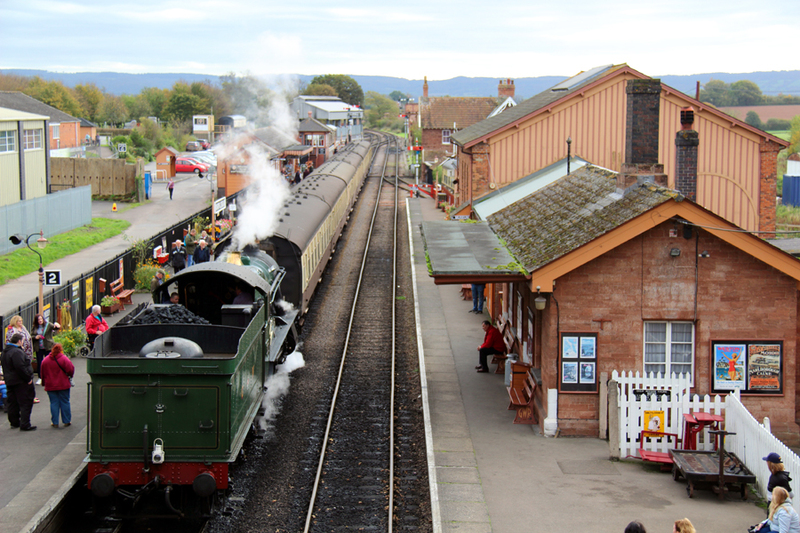 Today, the railway carries 200,000 passengers a year, making it among the southwest’s most popular tourist attractions. In addition to the regular train timetable, special events and galas are arranged during the year. Our journey began at Minehead on one of the many steam engines (diesel units operate on the line as well), which was to transport us to Bishop’s Lydeard. Having driven the road from Minehead to Taunton (passing Bishop’s Lydeard) you would think the scenery would be familiar but it’s amazing how the perspective changes when travelling by train, including houses and fields you can’t see by road and such pretty stations at every stop. This attention to detail creates a great nostalgic feel to the journey with authentic retro advertising adorning the sidings and old-fashioned luggage piled up on trolleys just some of the attractions; and all this achieved with just a small team of paid staff and myriad volunteers, all giving up their valuable time to help in every aspect of running the railway. 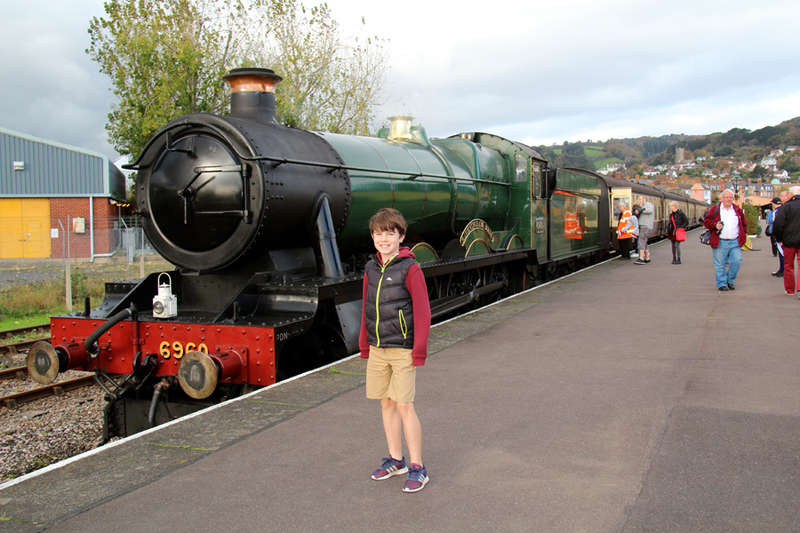 Arriving at Bishop’s Lydeard, we had just under an hour before our return journey so explored the station. 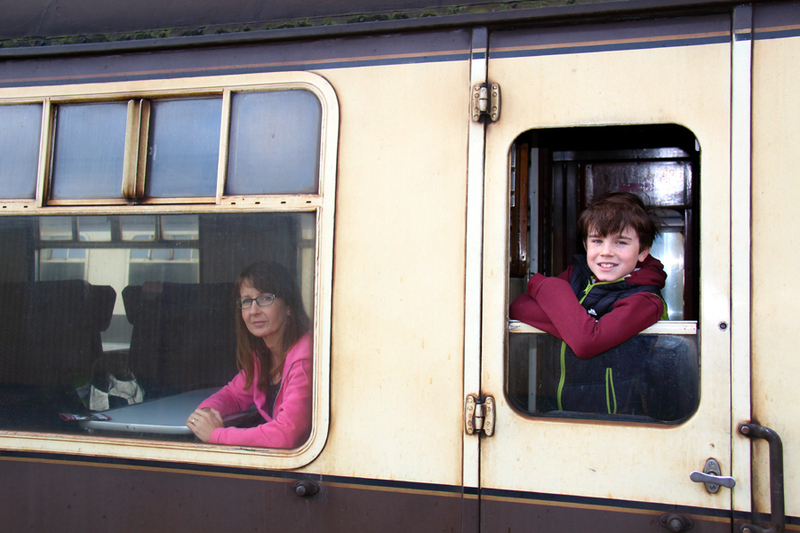 First stop was the Gauge Museum where the working model railway was of particular interest to our ten-year-old son, Peter, and brought back memories of the model railway I built as a child. Finding we still had some time left after strolling around the platforms, we visited the Whistle-Stop Café for a cup of tea and piece of cake before taking a quick look at the railway souvenirs in the station shop after which it was time to jump on the train for our journey home. 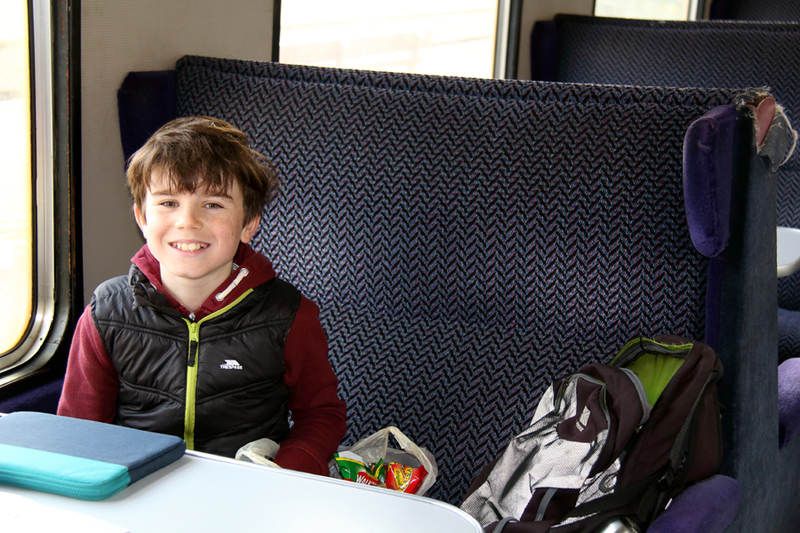 It had been a smashing trip and we’d highly recommend it to anyone, locals and tourists alike.